A leading specialized bloodstock agency in Hong Kong. 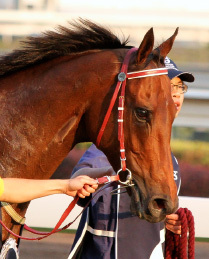 Through our stringent research and selection procedures we have successfully bought more than 75 group winners globally including Hong Kong’s highest individual stakes winner (Viva Pataca), two of Longines World Highest Rated horses (Able Friend and Beauty Generation) and most recently Rapper Dragon the 4YO Triple Crown Winner (all milestones in HK racing history). "George Moore is widely regarded as one of the finest judges of a yearling in the industry, and has been a regular purchaser of top quality yearlings. It’s little wonder he continues to garner a strong international reputation." "George has proved himself as one of the most astute judges of horses in the world. Whether it's yearlings or tried horses George's record is up there with best: he has bought many champions and I'm sure he will continue to source the best horses that go to Hong Kong."